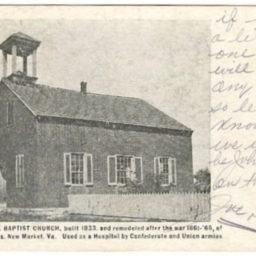 Postcard showing the Smith Creek Baptist Church which is located in New Market VA. The church was built in 1833 and used as a hospital during the Civil War. 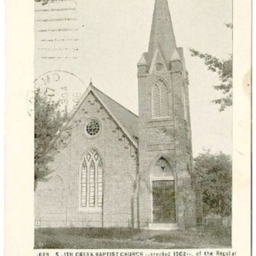 Postcard showing the Smith Creek Baptist Church that was erected in 1902. 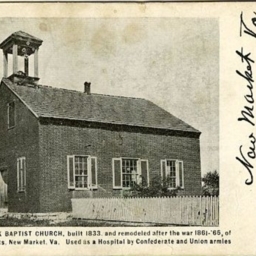 The building is located in New Market Virginia and was a "Regular Baptist" congregation.